Issuing a statement on Sunday, the NHRC said that its serious attention was drawn toward the restriction imposed on the supply and distribution of medicines in Janakpur by the Nepal Chemist and Druggist Association. "The commission requests the government to intervene in the market to ensure smooth supply of medicines, control market activities attempted at limiting the rights of consumers and do the needful to fully protect and respect the rights of consumers," a statement issued by NRHC secretary Bed Bhattarai said. According to the NHRC, the commission acting on a complaint filed by Ramas Public Pharmacy, launched an investigation into the alleged restriction on the supply of medicines. The commission found that the Janakpur chapter of Nepal Druggist and Chemist Association and wholesalers including Janakpur Drug House, RS Drugs, Dhanusha Medical, Rajesh Medical, Mahendra Medical, Roshan Pharma and Kushal Pharma were running a cartel in their attempt to limit competition in the market. "They stopped supplying medicines to the pharmacies which sell drugs at cheaper rates," the NHRC statement said. 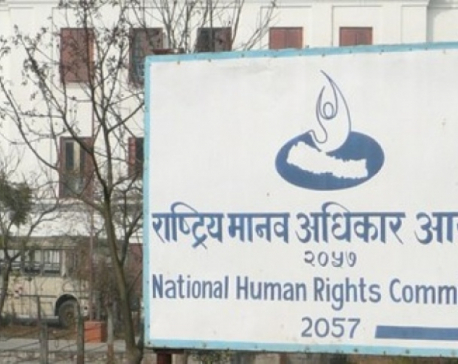 Such activity is against Article 44 of Constitution of Nepal, Consumer Rights Protection Act, and Competition Promotion and Market Protection Act, said the NHRC statement. "The NHRC has written to the government with instruction to intervene and regulate the market," the NHRC statement said.